Imbalance and misalignment can result in increased vibration amplitudes, indicating increased dynamic forces on critical components (bearings, seals, etc.). HECO's Predictive Services Group offers on-site services to eliminate excessive imbalance and correct for shaft misalignment. 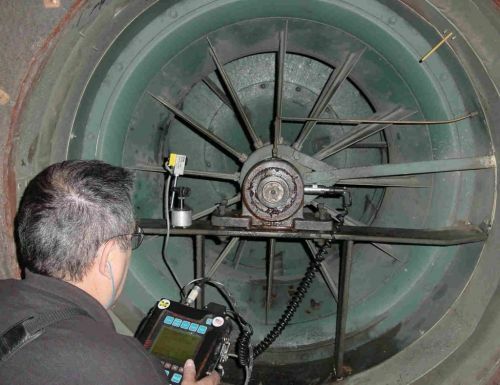 Balancing rotors/fans at operating speed and under operating conditions can reduce vibration amplitudes and extend machine component life. Modern industrial couplings are designed to absorb a substantial amount of misalignment. However, as manufacturers have striven to reduce the cost of machines, the durability and reliability of many machine components have also been reduced. The forces generated by shaft misalignment can result in premature failure of the components. Precision alignment can improve machine reliability and reduce maintenance costs.